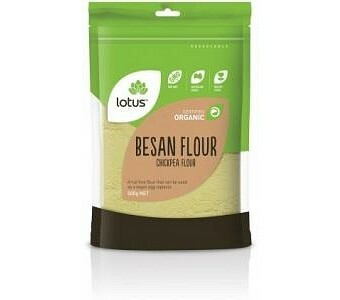 Lotus Organic Besan Flour ( Chickpea Flour ) is a nut free flour that can be used as a vegan egg replacer. Besan Flour is also called Chick Pea Flour. Ingredients: Milled Chick Peas. May contain traces of gluten. Certified Organic by ACO.